The first instalment in a reissue series from Roy Budd’s extensive catalogue of work which will include Soldier Blue, Fear Is The Key and The Stone Killer. A gritty Mike Hodges’ crime film set in the derelict urban scenery of Newcastle and starring Michael Caine, Get Carter was voted number 16 in the BFI 100 Favourite British Films of The 20th Century and number one in the Total Film Greatest British Films Of All Time. 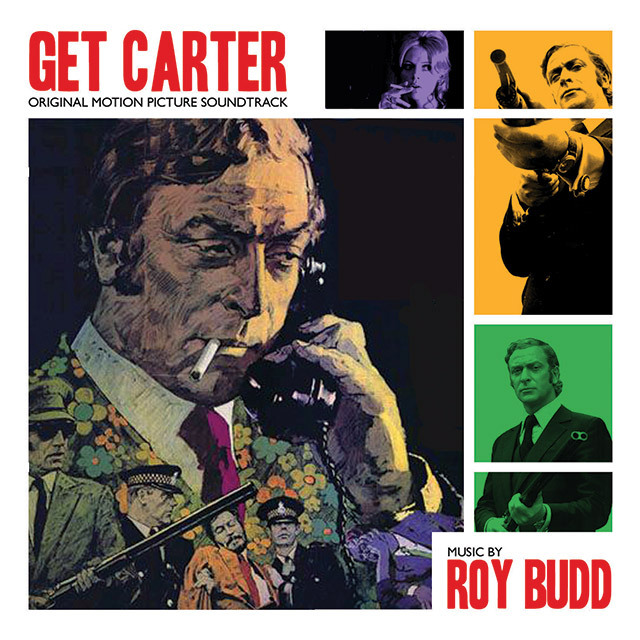 The iconic soundtrack, recorded on a tiny budget, was written by the jazz prodigy Roy Budd. Performed by Budd and two other jazz musicians Jeff Clyne (double bass) and Chris Karan (percussion), both of which were part of the Dudley Moore Trio, the distinctive score continues to inspire musicians worldwide.